I got a call from the editor of (614) Magazine last month looking for wedding photos from Franklin Park Conservatory, COSI and a few other venues around Columbus. I was happy to point him to my Photographs for Vendors section of my website. He was thrilled to see all the photos of venues around Columbus on the gallery. 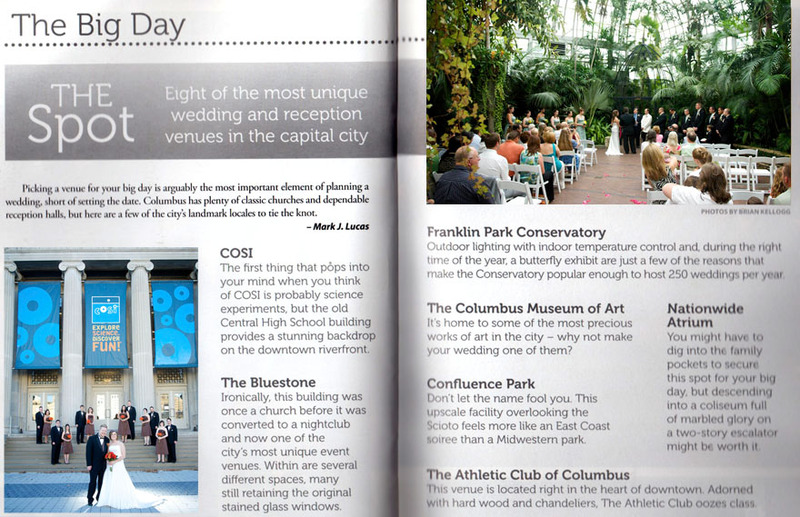 The Magazine settled on a great photo of the Palm House at the Franklin Park Conservatory and the river front of COSI. I was thrilled to see it in the magazine. Pick up the (614) Magazine to read the full article.